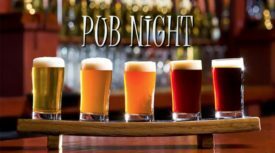 Future Pub Nights: We are looking for volunteers to host a future pub night. If you host a pub night, you pick the pub. Hosting duties are minimal – make a reservation at the pub for the ACC Ottawa group and be at the pub to greet attendees. We want new and returning attendees to feel welcome. And members can start making plans for their outdoor adventures for the coming year.